Greetings my Beautiful and Bolder Sisters! Happy September. I like to think of September as the month of new beginnings. It’s when the children go back to school and start a new year. We also begin to launch into fall, and we start to settle in into a new season. With every new season, we should become a better version of ourselves. We get more confident and bolder with every new beginning. 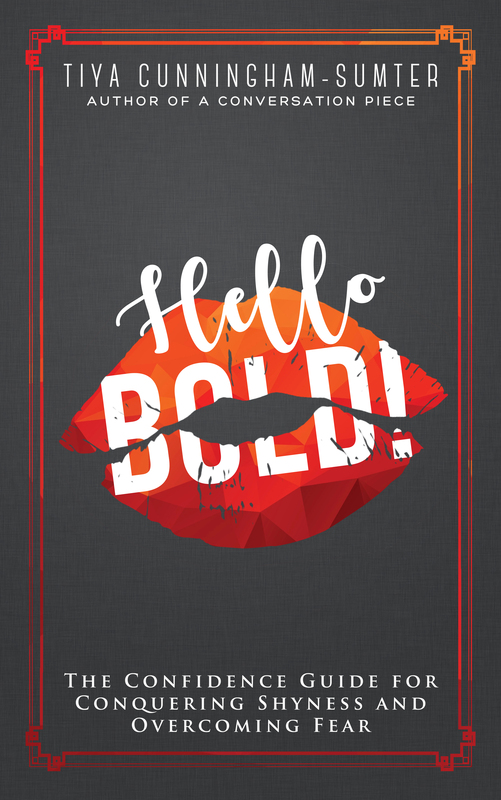 Being bolder also means we speak up for ourselves and have tough conversations when they’re needed. For me, this just happened last week. I had to have a bit of a tougher conversation with someone. I’ve always been an accommodating person, a “yes” person so to speak. I would typically say “yes” even when I really wanted to say no. Well, that happened last week. A former coworker reached out to me and kind of put pressure on me to meet and discuss my business and writing process. My schedule has been so hectic lately, and I knew this meeting wouldn’t have been most convenient at this time. Plus, I can easily share my process without an in-person meeting. I felt as though this person was refusing to be understanding, and was relentless about us meeting in person and making an assumption about me that didn’t sit too well with me. I ultimately had to share how I felt and refuse the meeting. It felt amazing! Saying “No” is definitely okay, and necessary at times Bolder Sisters. Having difficult conversations is also needed. It is okay to put you first and tell people how you really feel. Those people will be okay, believe me. If you are currently struggling with saying “no” and initiating an unpleasant conversation in any of the situations below, use the suggestions provided to move past fear and start the dialogue. Career & Promotion. After you’ve requested a meeting with your manager, be sure to prepare for that meeting in order to prove why you deserve a promotion. Start the conversation by being grateful for the time your manager took and your position with the company. Next, dive into why you requested the meeting. If you feel as though you’ve proven yourself in your current role don’t be afraid to say that and give examples. Relationships. If you find yourself struggling in your personal relationship, think about your needs. Are they getting met? Is something missing? If so, again prepare for the conversation. Plan the conversation with your partner, and set the location. Begin the conversation by expressing why you wanted to have the talk. Highlight what you’ve appreciated about the relationship and then go right into your needs, particularly the ones that aren’t being met. Also, be sure to share a few solutions to the challenges. Networking for your own business. Networking brings about a great deal of fear for a lot of people. If you find yourself in a situation to promote your business or network with someone who can help your business, start that conversation with your best sales pitch. Also share why you want to connect with the person or highlight the benefits that come as a result of working with your business. Don’t forget to be confident in what you share and your skills. Body language is just as important as the words you say in a situation like this, so be sure to stand tall and give good eye contact. Setting boundaries. Sometimes we have to have difficult conversations with loved ones and friends. They can occasionally overstep and take advantage if we don’t put our foot down. To begin a conversation like this one, be firm and share what you have going on in your life. It’s okay to inform your family members and friends that things will have to change. Another key part of this conversation is expressing how you feel and sharing how they can support you best. Saying no. No is a sentence and doesn’t have to be followed by any explanation. It’s okay to start a conversation with “No, I won’t be able to help with that.” It is really just that simple. We no longer have to go into long drawn out conversations when the answer is simply “No.” The other person will be okay, again believe me. They actually have no other choice but to be okay with your decision and figure something else out. This is what I had to do this week, and though the person didn’t respond when I said “No” I know they got the message and I am sure they will be able to come up with another option. 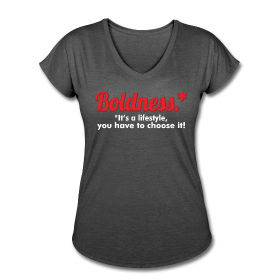 Bolder Sisters, you have to be your main priority. You always have to be willing to love, protect and defend yourself. 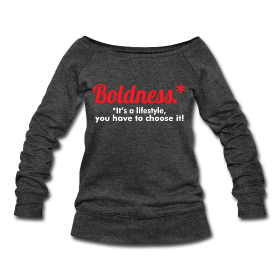 Being BOLD means you are not afraid to speak your mind and ask for what you want. Now, I would love to hear from you. Please feel free to share the last time you spoke up for yourself and how it felt. I have to remember: ‘No is a sentence and doesn’t have to be followed by any explanation’…that’s my problem..feeling as if I have to give a reason for ‘No’. Yes ma’am. I understand. That was my struggle too. I felt like I owed people explanations. We really don’t though. I have a hard time saying no to my kids, especially the baby. So much so, that when I say no, he looks at me with a look that says, excuse me, did you say no to me. He’ll then ask again and I’ll say yes. We actually sat down today and discussed this. I let him know that everything isn’t always going to he a yes and he’ll have to start dealing with it. We shall see how this goes. Tracy that’s big. Family, especially children are the hardest people to say “no” to. So good for you for taking that stand. That’s also how our children learn a few valuable lessons. Next Next post: What Are You Giving?